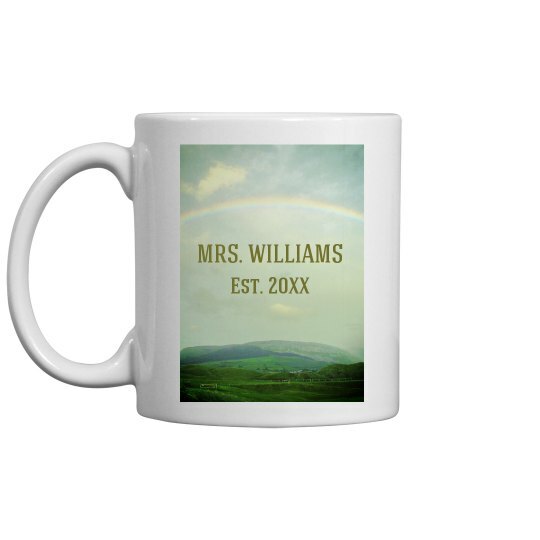 Customize a cute mug for the new Mrs. Add her new last name and her wedding date. Upload an image from her wedding. She'll love drinking coffee every day from this mug!